Welcome back, lovelies! As some of you may already know, I recently moved away from the coast. I admit that I am genuinely enjoying the sunny days and that I finally get to bust out some summer dresses without wool sweaters (let’s face it, summer at the beach on the Central Coast usually doesn’t draw any parallels to a Beach Boy’s song). However, after three months of weather hovering in the 90’s, I am feeling a little nostalgic for the coast (even though it’s just 20 minutes away). Since schlepping my three kids out to the beach last minute at the dinner hour was out of the question for the day, I decided to do what any foodie would do: bring the beach to our palates! How about a nice creamy fish chowda’ (oh yes, my entire family immediately sounds like they are from Boston as soon as chowda’ is on the table…even the 5 year old 🙂 ). 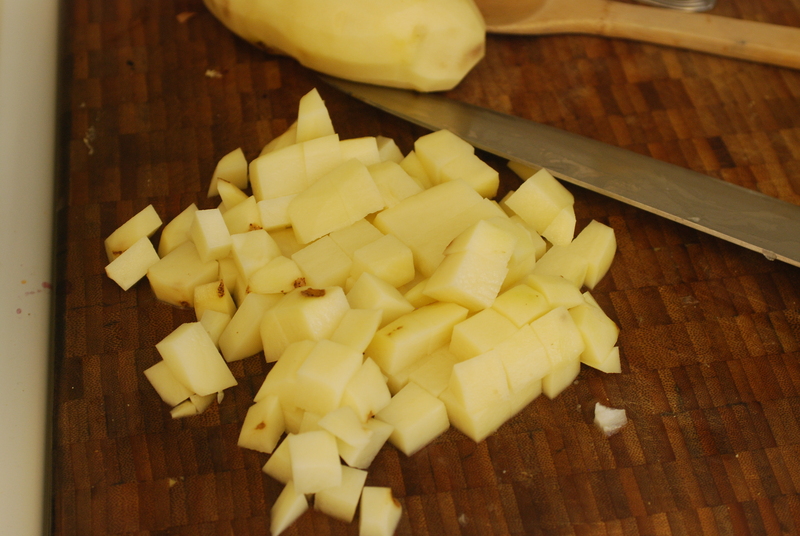 Starting with the basics, I chopped up a fatty onion and two potatoes. Gorgeous color…check! Now time for the fish! Any white fish will do, but I chose rockfish from Morro Bay, fresh from the freezer (I totally realize the oxymoron, oh well). And now in with the chicken broth. I used an entire box and then used about a cup of water to make sure all my ingredients were submerged. Now time to make a roux (more snobbery for a sauce thickener 🙂 ). 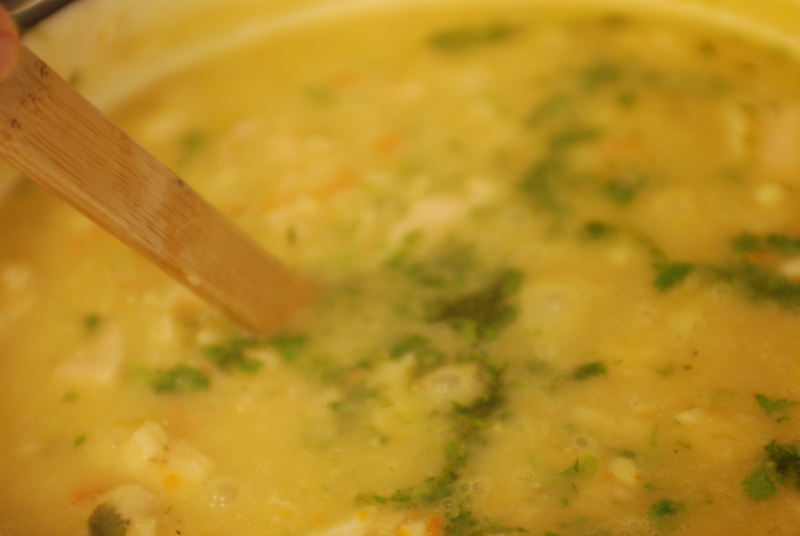 After all, who wants a watery, runny chowda’? 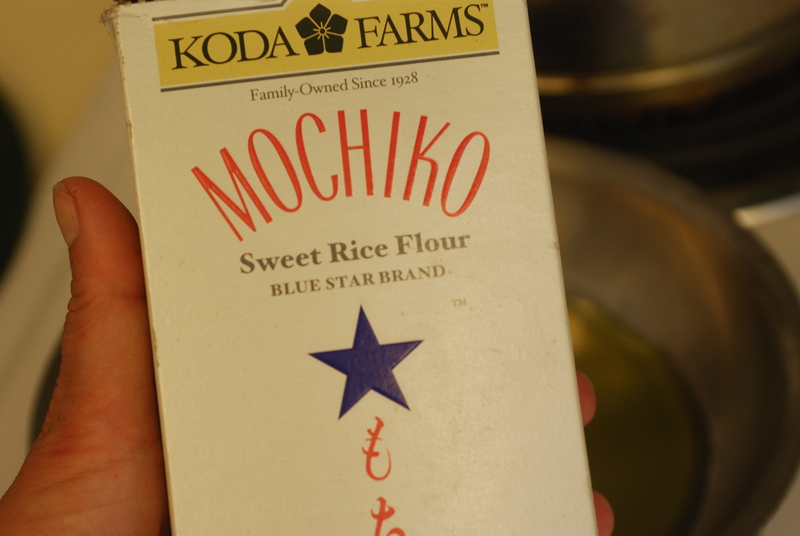 The key components are some sort of flour mixed with a fat…lovely right? Now to make it healthy. Since I’m wheat sensitive (aka gluten free), I used rice flour. And for my fat, instead of butter, I went for olive oil. Cook over a medium heat and stir constantly until you have a thickened paste. I added about two tablespoons of my roux to my hot chowda’ and stirred away. 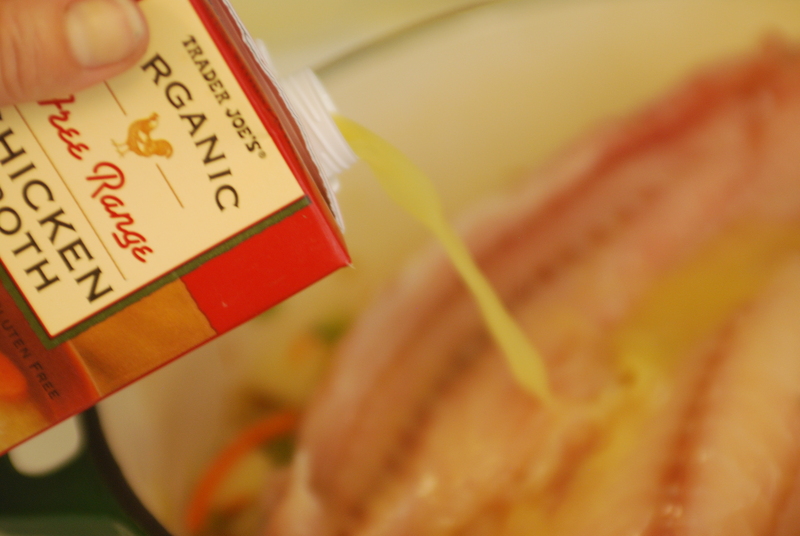 You will notice the effects rather quickly because roux really is a great thickener. 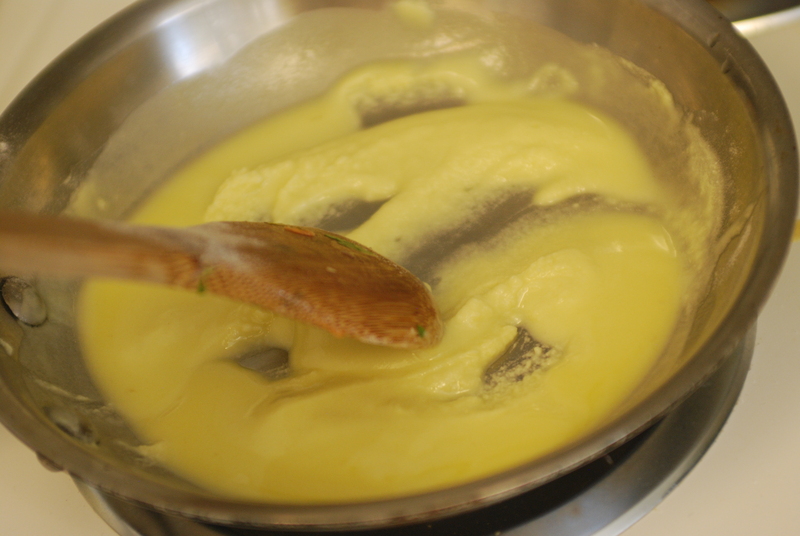 If it stands to use more thickening after about 5 minutes, then go ahead and add more roux. In the meantime, time to add flavor! Remember that I cook for kids, so where I used only one jalapeno (seeded), you may want to use two with some seeds intact. Also, if I had had any on hand, I would have totally thrown in some Anaheim chilies for flavor. 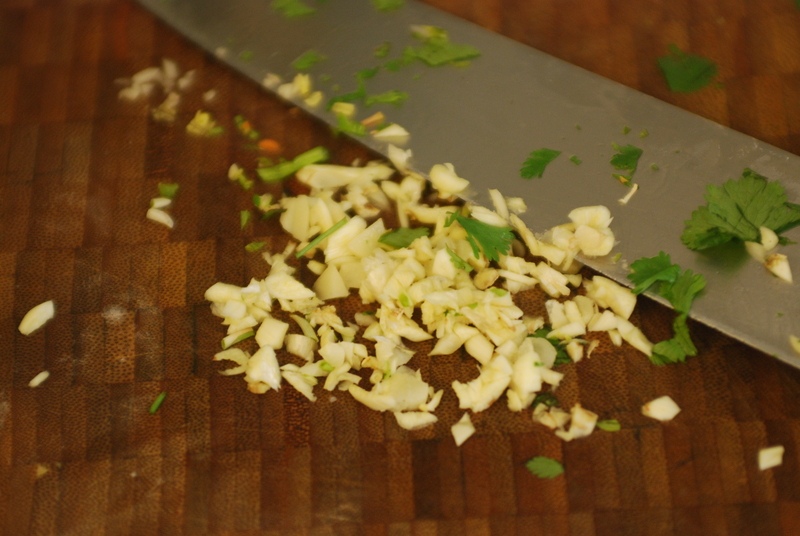 Oh, and let’s not forget garlic! 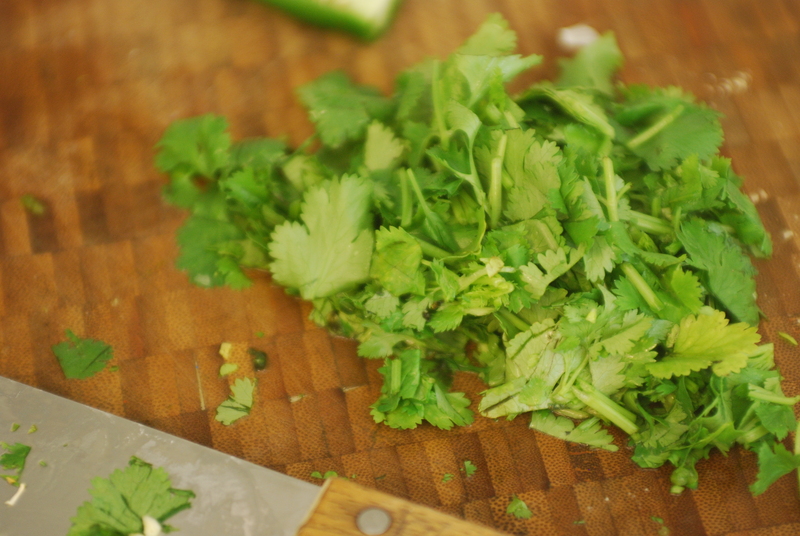 And a good bunch of cilantro, minced. 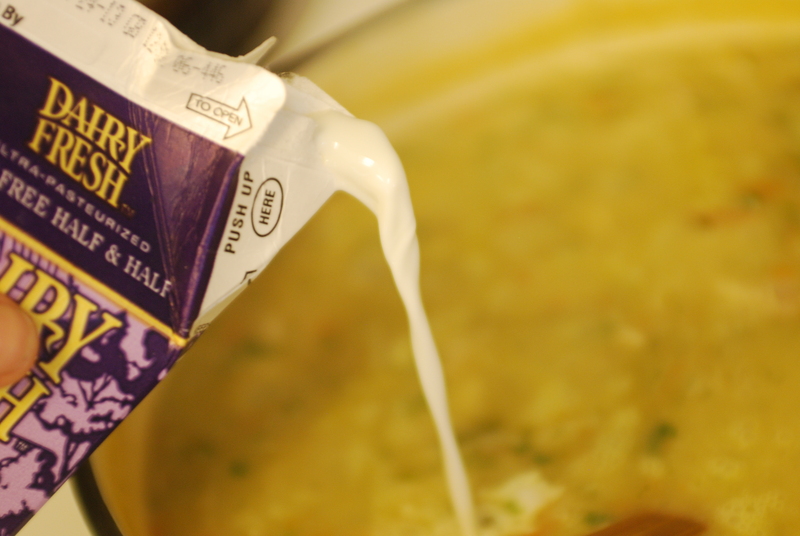 And for the last step, a splash of cream or half n’ half….only a 1/4 cup or less. Ahhh, now I feel like I’m at the coast!! Now all that is left is trying to acquire a mixed tape of seagulls and sea lions crashing in the waves……..
And remember, when you eat this, to drop all your “r’s”…’cuz as my husband say’s “Boston gave all their r’s to Texas a long time ago!” And besides, eating chowda’ with an accent is just fun! 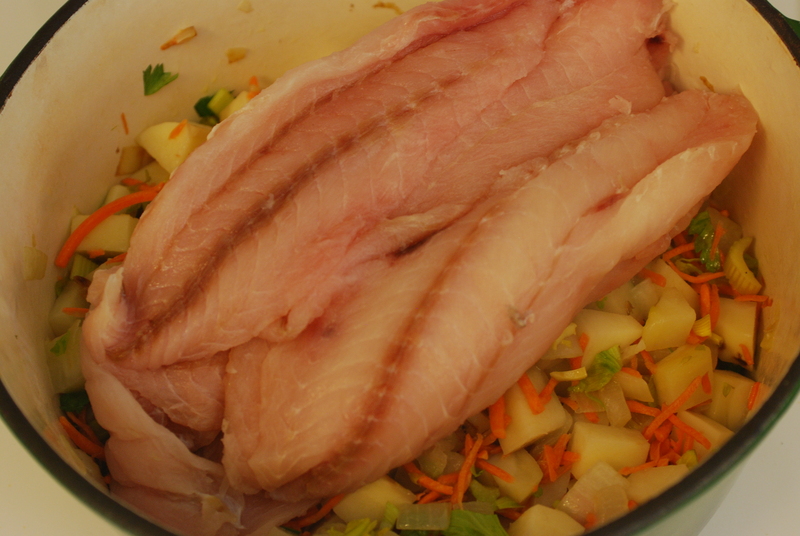 Step up your chowder game by exploring with fish rather than clams! 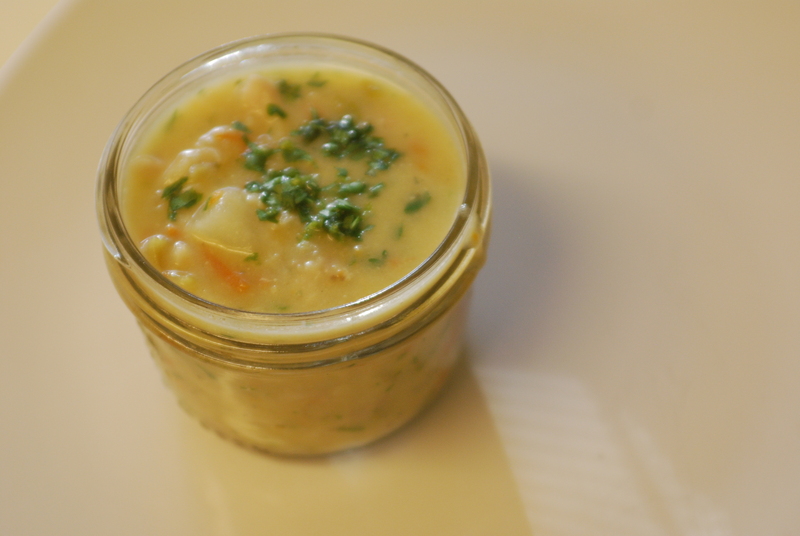 There's nothing like a creamy fish chowder to enjoy with some cool weather. Sauté veggies in some olive oil. 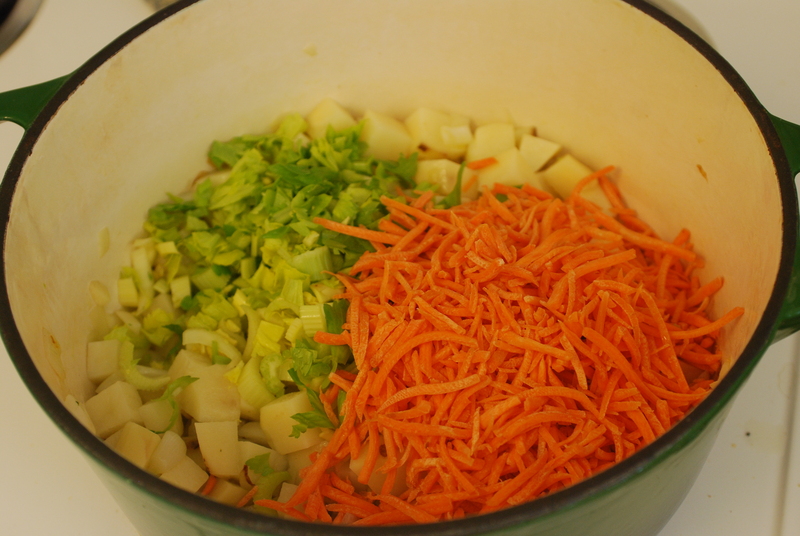 Once finished, add fish, broth, and sautéed veggies to a large pot. 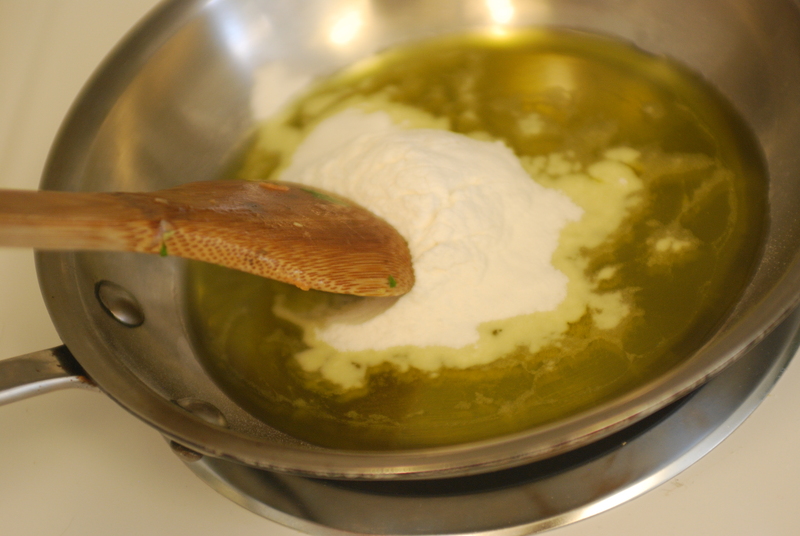 In a separate pan, add together olive oil and flour, stir over medium heat until a paste is formed. 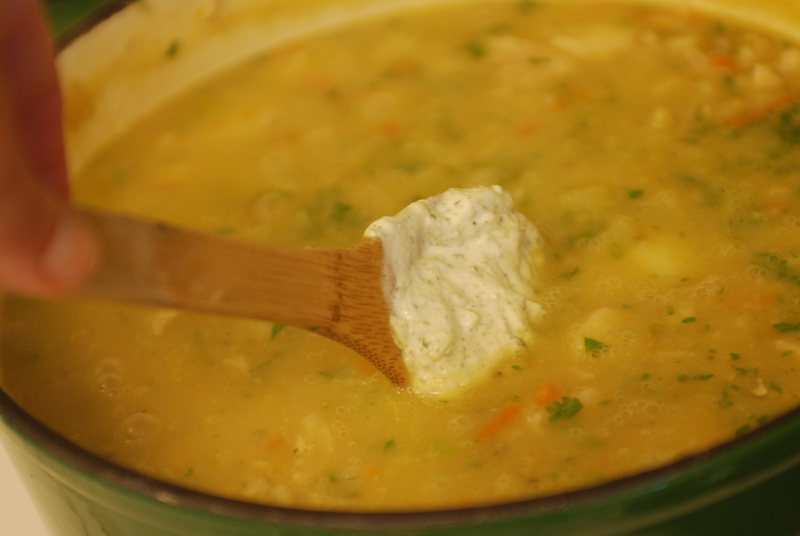 Add two tablespoons to the chowder and cook over medium heat until it begins to thicken. 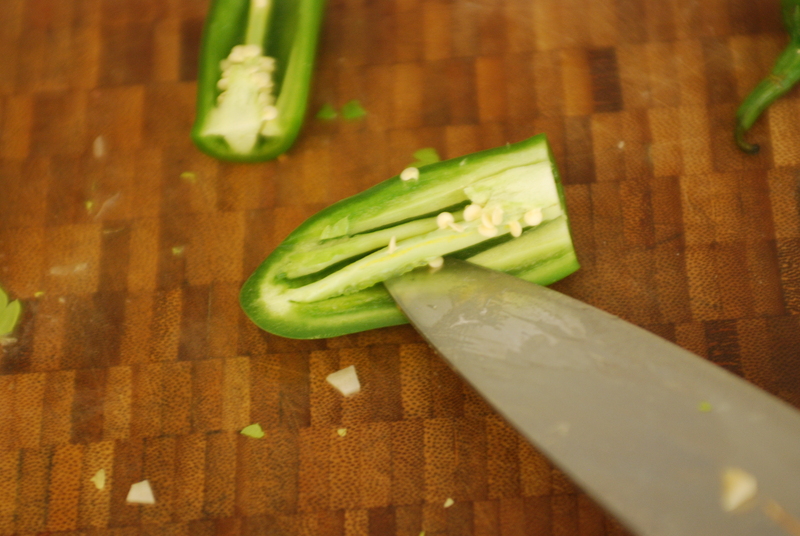 In the meantime, add the chilies and garlic. Then add salt and pepper to taste. Just before serving, add the cilantro and cream. Bon apetit!